Have you ever noticed diamond-shaped signs posted on trees or fence posts along country roads? Scattered throughout New Jersey are parcels of state land often overlooked by those seeking out wild places to explore. These multiple-use public lands are Wildlife Management Areas (WMAs), administered by the Division of Fish and Wildlife. Managed by the Division's Bureau of Land Management for fish and wildlife habitat, a variety of wildlife-associated recreation is available on most areas. While hunting and fishing are probably the two activities most associated with the Division, WMAs are also prime locations for birding, wildlife viewing and photography, cross country skiing, hiking and mountain biking. Purchased with funds from the sale of hunting and fishing licenses, state waterfowl stamps and through the Green Acres Program, the Wildlife Management Area System encompassed more than 348,000 acres in 122 areas acres statewide by December, 2016. The division works closely with Green Acres, as well as non-profit conservation organizations, to acquire and manage these lands to benefit people and wildlife. In addition to providing recreation, the areas safeguard water supplies, preserve open space and provide habitat for endangered as well as common wildlife and plant species. Hunting and fishing enthusiasts will find WMAs ideal for their use. Parking areas provide access to prime hunting and fishing grounds. In fact, many of the areas are stocked with pheasants raised at the division's Rockport Pheasant Farm (also open to the public). Thriving herds of deer, flocks of wild turkeys and small game provide hunters with countless days of recreation. For anglers, some of New Jersey's most fabled trout streams flow through these lands. 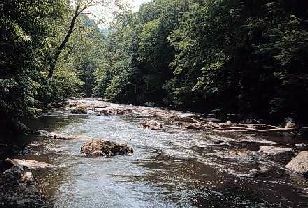 The Flatbrook, South Branch of the Raritan, Rockaway, Paulinskill, Pequest and Musconetcong rivers are all accessible from WMAs. In partnership with Trout Unlimited and Ramsey Outdoor Stores, the division has developed accessible fishing sites for people with disabilities in the Flatbrook-Roy and Pequest WMAs. One of the jewels of the Wildlife Management Area System is the 5000+ acre Pequest WMA off Rt. 46 in Warren County. Here you will find the Pequest Trout Hatchery and Natural Resource Education Center, a state of the art facility that produces 600,000 trout for public waters every year. The center caters to schools, organized groups and the general public, presenting programs about a wide range of natural resource topics. It is open seven days a week (excluding holidays) from 9:00 a.m. to 4:00 p.m April through October, and weekdays only November through March. Visitors can enjoy a video about the trout rearing operation, a self-guided tour, exhibits, picnic areas and a marked trail network that features a self-guided interpretive Natural Resource Trail. There are also special weekend programs offered. 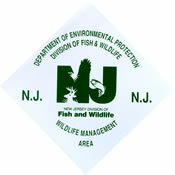 Reflecting the diversity of the state, WMAs vary from having extremely rugged terrain (Wildcat Ridge WMA) to level woods roads (along the South Branch of the Raritan River through Ken Lockwood Gorge WMA) to sandy tracts in the Pinelands (Greenwood Forest and Stafford Forge WMAs) to coastal marshes (Cape May Wetlands WMA). One way to locate the areas is by studying the Official Transportation Map and Guide available from the Division of Travel and Tourism (call 1-800-JERSEY-7). The areas are marked in brown; because existing areas are continually being expanded and new areas continue to be added, not all WMA land is shown. Current computer-generated maps of each area are available for download from the List of Wildlife Management Areas. For information and high resolution maps of specific areas, contact the Land Management office at 609-984-0547. Activities other than hunting and fishing can also be pursued on management areas. Birders will find habitats from wetlands to mountain ridges to seek out species for their life-lists. Nature photographers and wildlife viewers also benefit from this diversity. Cross country skiers will find many woods roads suitable for exploration, as will hikers and mountain bikers. 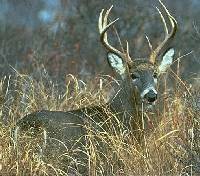 Users should be aware of when hunting seasons are in effect; deer hunting with a bow is now allowed on Sundays on state WMAs. Information on seasons dates is available in the Fish and Wildlife DIGEST, available at most sporting goods stores and division offices. Mountain biking is allowed on existing trails and secondary roads on wildlife management areas from March 1 to April 15 and June 1 to September 15, as well as on Sundays throughout the year. Bikes are permitted on major designated trails year round except for the Highlands Trail which passes through Berkshire Valley and Wildcat Ridge WMAs. Riding over any dam, wildlife food area, cultivated fields, lawns, gardens and fire break plow-lines is prohibited. Bikers are also prohibited from establishing any new trails through the destruction of existing vegetation. Get out and explore some of New Jersey's wildest lands. 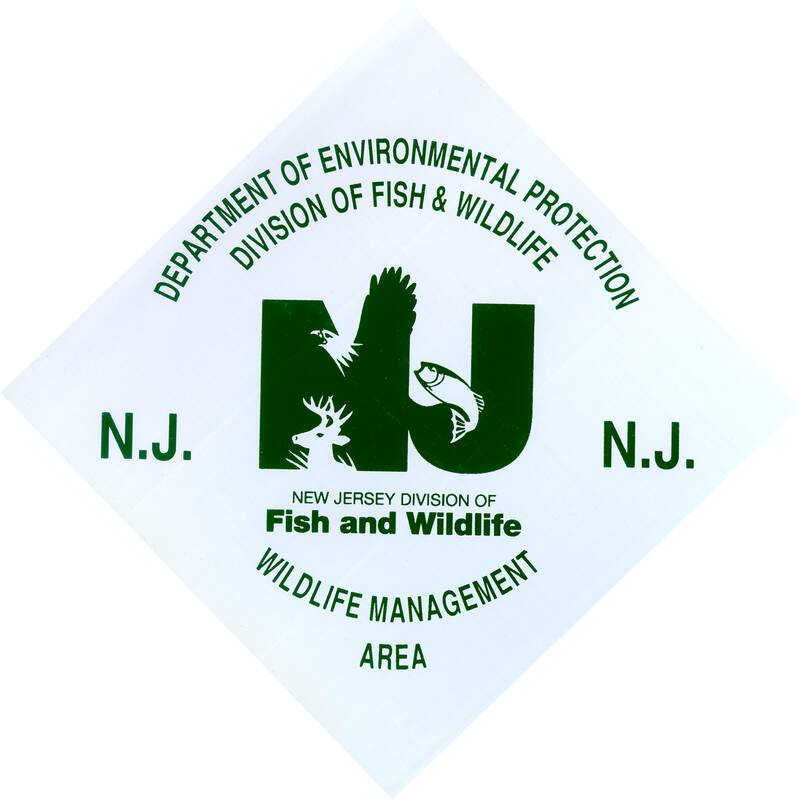 For more information about wildlife management areas contact the Bureau of Land Management at 609-984-0547 or WMAmaps@dep.state.nj.us.